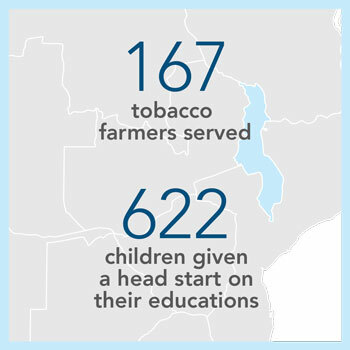 These Winrock projects keep students safe and help them thrive. The Green Valley Academy in Ilam, Nepal, is part of a recycling revolution. Before, the school burned its waste paper and plastics on campus, prompting complaints from neighbors. But now it provides recycling bins and bags and has inspired students to stop littering on the playground. “I am happy to see the behavioral and attitudinal change in my students,” says Michael Gurung, Green Valley Academy principal. “I can proudly say my students practice [recycling] at their homes, which has a multiplier effect in the society.” The school is part of Winrock’s PPP for 4Gs project, funded by the European Union, which has reduced 86 percent of the total waste of the 8, 625 people it serves. 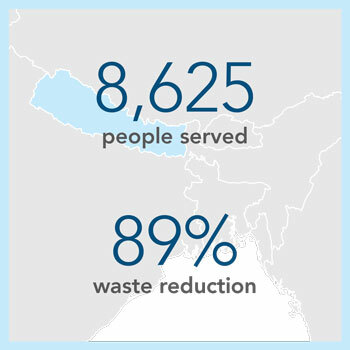 Before, the almost 2,500 households were generating 1.4 tons of waste per day; now they’re generating .16 tons — an almost 89-percent reduction. 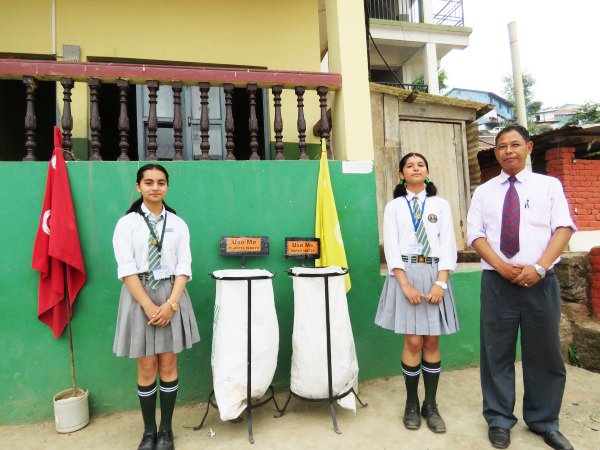 Green Valley Academy Principal Michael Gurung with two of his pupils, Sudikshya Bodhara and Simran Gautam with a recycling project made possible by the PPP for 4Gs project. Photo by Chadani Pandey. 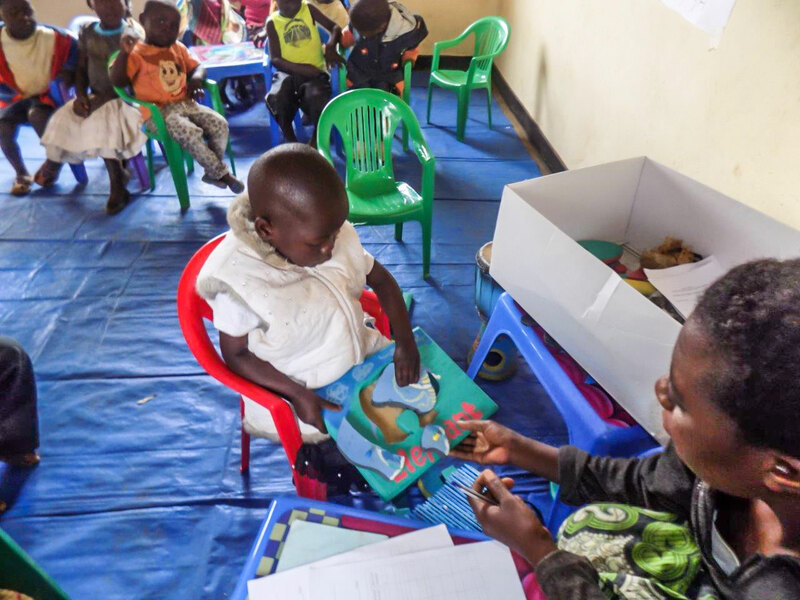 Four-year-old Brenda has made great strides since her father brought her to a community-based child care center made possible by the ARISE project. 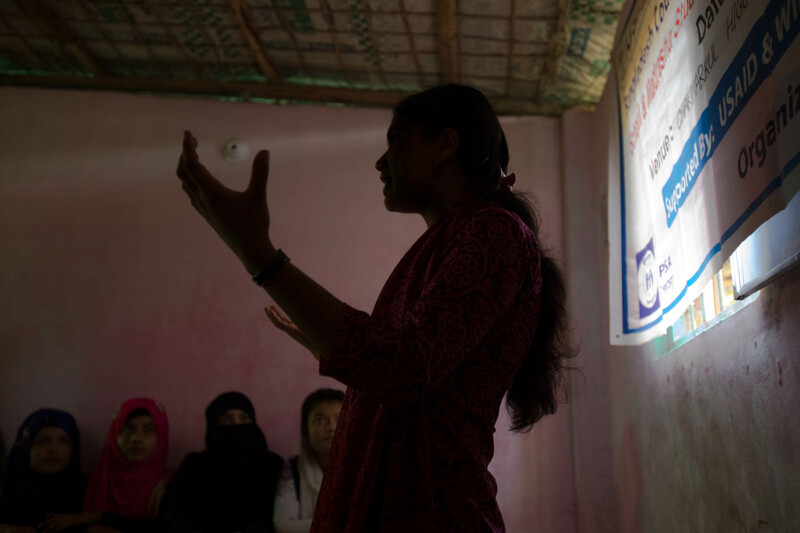 At the Chakmarkul Union High School in the Chittagong region of Bangladesh, students learn the basics of safe migration from a guest speaker provided by USAID’s Bangladesh Counter-Trafficking in Persons Project (BCTIP), implemented by Winrock. The speaker is one of 425 youth volunteers and survivor leaders trained to combat trafficking in persons. 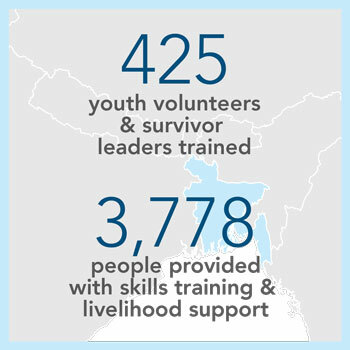 BCTIP has provided information, skills training and livelihood support for 3,778 at-risk people in Bangladesh. When asked what they’ve learned, students stand up as they are called: “I’ve learned that to go abroad we need a visa, passport and worker’s permit,” says Hossain. “I must have a work contract and without a work contract I must not go,” says Shahanaz. Her classmate, Shabudeen, adds: “The main thing is we must stop human trafficking. If we find any traffickers in our area, we must stop them.” The lesson had obviously taken hold. And no wonder: The speaker had herself been trafficked — at the same age as the students she was teaching. The BCTIP project helps school children learn about safe migration from a speaker who was herself the victim of human trafficking. Photo by Misty Keasler.